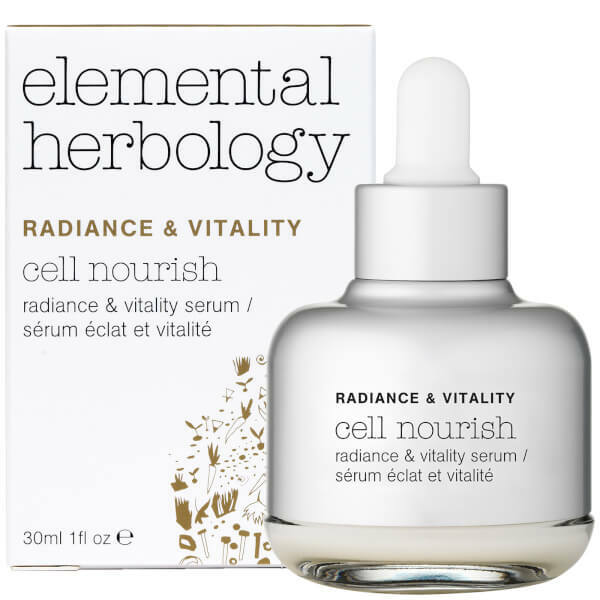 Rediscover your skin's natural luminosity with Elemental Herbology Cell Nourish Radiance and Vitality Facial Serum, a complexion-enhancing formula that works to boost radiance and brightness in dull, under-nourished skin. 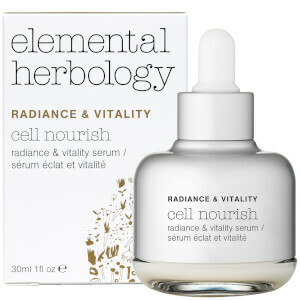 Infused with a host of vitamins, antioxidants and proteins (including Kombuchka™ which is clinically proven to improve radiance, and Co-Enzyme Q10 to help fight external aggressors), the skin-boosting solution expertly soothes and calms sensitive skin whilst delivering strong antioxidant properties to improve vitality, brightness and radiance. 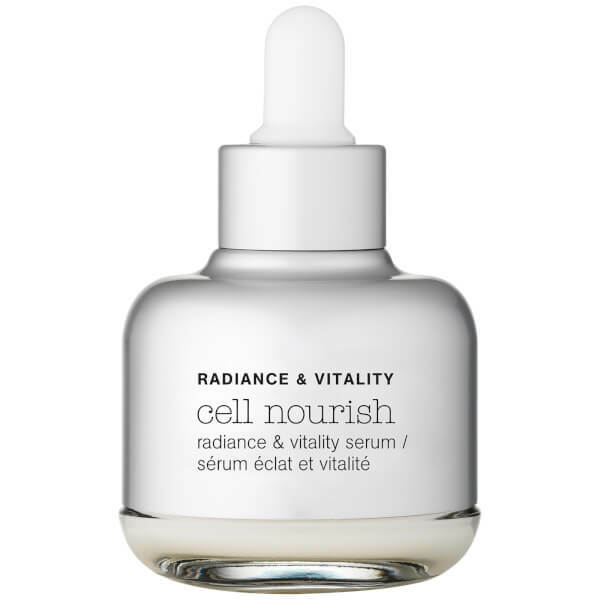 Its powerhouse of ingredients work in synergy to revitalise skin, stimulating cellular renewal to maximise radiance and luminosity. 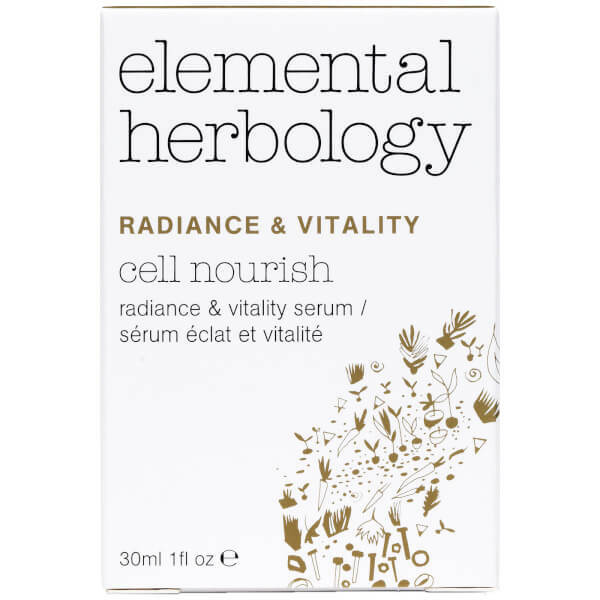 Expect a brighter, healthier complexion with restored energy and freshness. Apply a few drops in upwards movements to the décolleté and face. Use twice a day – before your facial moisturiser in the morning and after cleansing in the evening.